The Article: 35 Founding Father Quotes Conservative Christians Will Hate by Stephen Foster Jr. in Addicting Info. The Text: The separation of church and state is one of the cornerstones of America’s foundation. Conservative Christian fundamentalists have sought to crush this cornerstone in the hopes of establishing Christianity as the state religion, an action that would threaten the rest of the foundation that makes up the Constitution. These conservatives contend that the Founding Fathers dreamed of making America a Christian state at the expense of those who practice other religions or none at all. 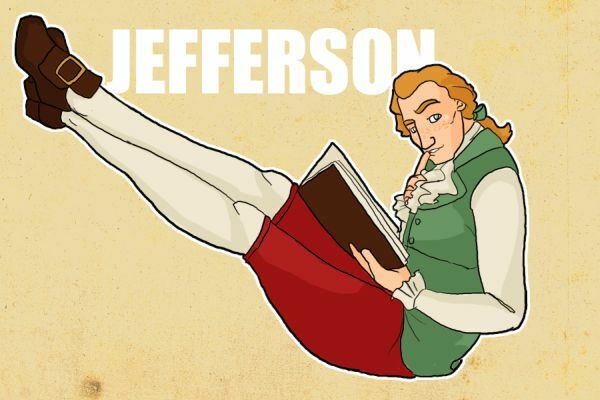 So here are 35 quotes from the Founding Fathers. Perhaps your first thoughts are the first four Presidents and maybe Benjamin Franklin, but there were many other Founding Fathers. Many were signers of the Constitution and The Declaration of Independence. They were lawyers, judges, soldiers, merchants, farmers, and some were even clergy. And the great majority of them signed the Constitution knowing that matters of government and matters of religion would be separate. ~Oliver Ellsworth, Philip B Kurland and Ralph Lerner (eds. ), The Founder’s Constitution, University of Chicago Press, 1987, Vol. 4, p.
These are hardly the words of men who allegedly believed that America should be a Christian nation governed by the Bible as conservatives constantly claim. On the contrary, the great majority of the Founders believed strongly in separation of church and state. So keep in mind that this country has survived for over two centuries under the principle of separation and it is only now when conservatives are attempting to destroy that very cornerstone that we find America becoming ever more divided and more politically charged than ever before. If this right-wing faction has their way, America as we know it will cease to exist and the freedoms we have enjoyed because of the Constitution will erode. The Founding Fathers had a vision of this nation and trusted that the people would protect that vision and improve upon it. Now is not the time to fail them. Because the day the people fail, so does America.